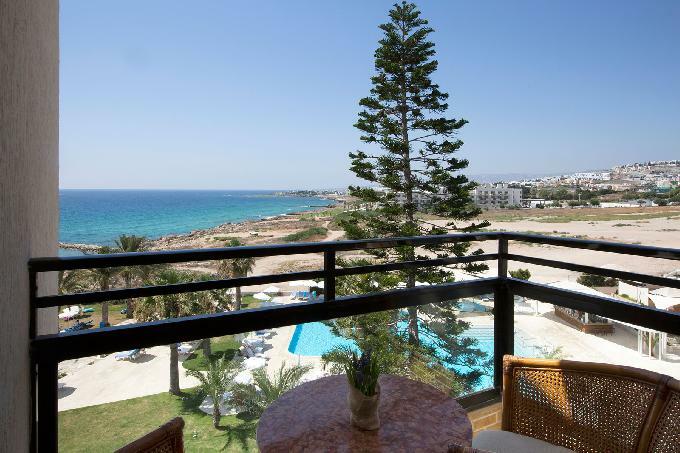 Venus Beach Hotel is located adjacent to the Tomb of Kings in the Kato Paphos area and was built with luxury holidays in mind. 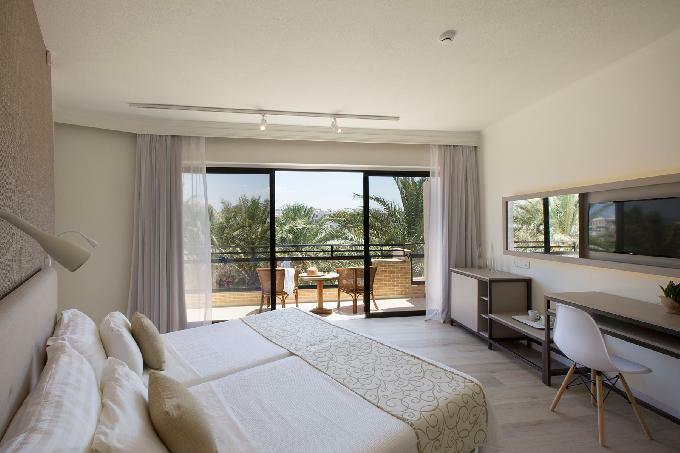 This exclusive Cyprus hotel combines a plethora of on-site amenities and chic guest accommodation with excellent leisure and sports facilities and tasty dining experiences. However you wish to spend your day, you can tick everything off your wish-list here. Looking to relax? You're in luck; sunbathe poolside or on the sands or escape to the spa for a massage. Feeling active? Shape up with a gym workout, play a game of tennis, or hop on a windsurfing board. What about the kids? They can have fun times at the kids' club and playground. 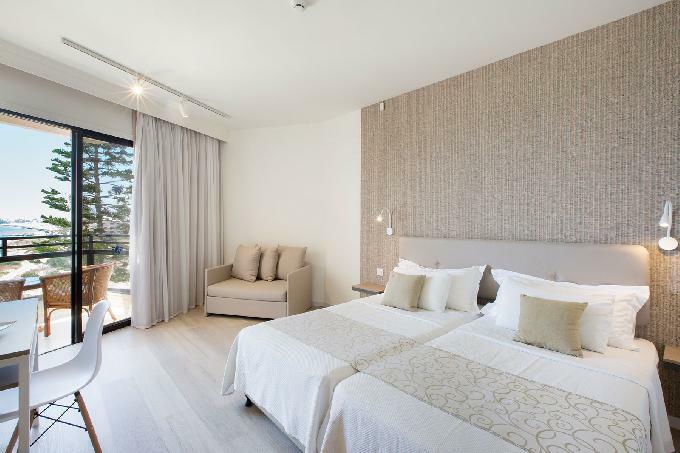 The guest rooms and suites marry a neutral decor with a host of welcome touches. Choose a drink from the minibar to sip as you watch television, wash away the cares of the day in the bathtub, or order a snack from room service. Relax on your balcony as the sun goes down, while the air-conditioning and comfy beds set the scene for a restful night's sleep later. The on-site bars and eateries tempt your taste buds with a world of flavours. 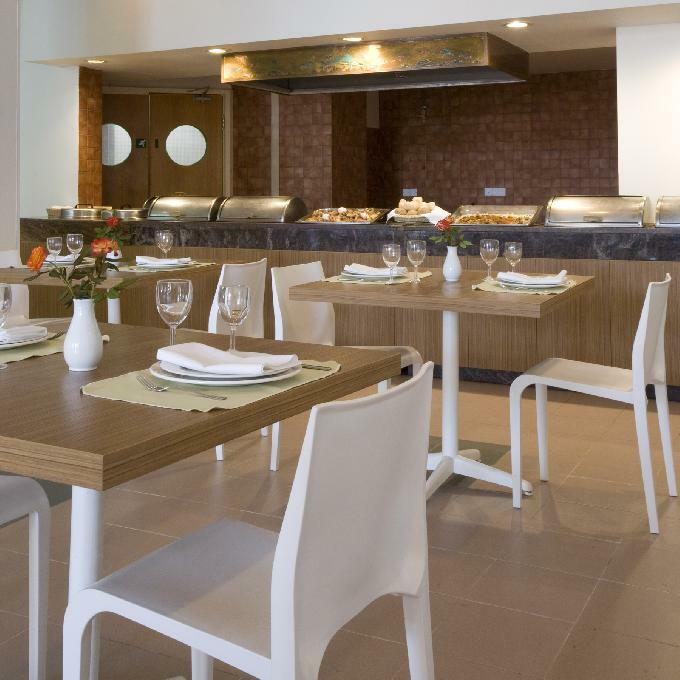 Start the day with a buffet-style breakfast followed by an a la carte lunch and all-day snacks. 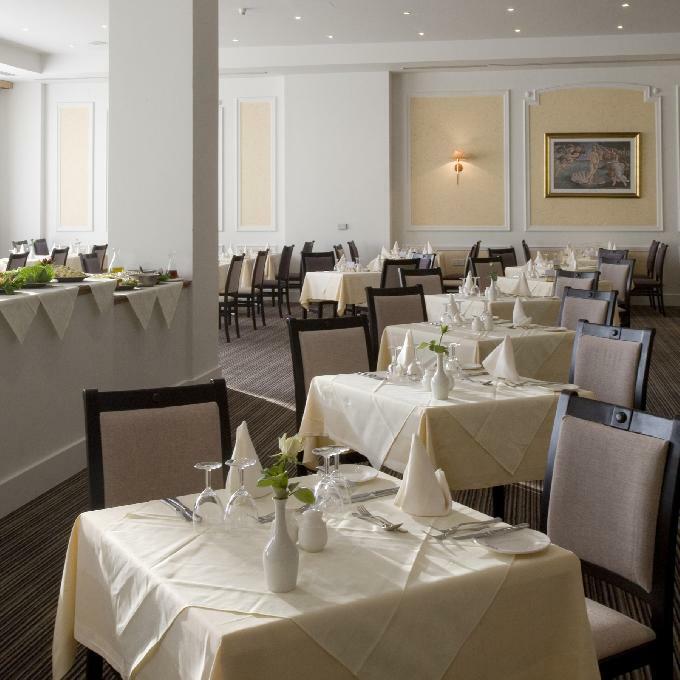 Dinner comprises Cypriot, Greek and international dishes accompanied by occasional live music. A lively line-up of dance shows, music, and entertainment hits the stage several nights a week. 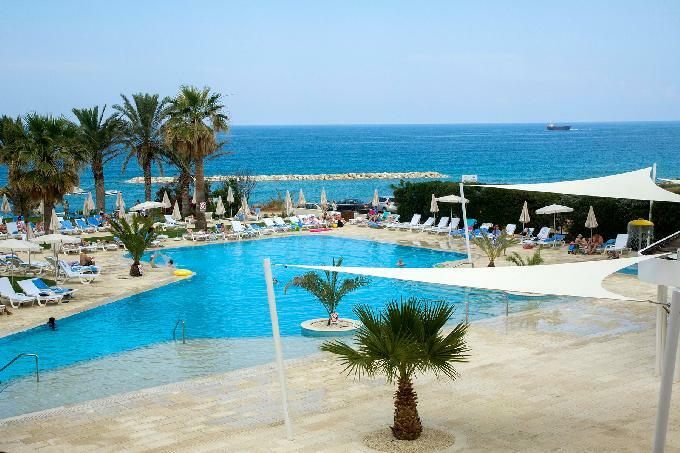 Discover why Venus Beach Hotel is a popular place to stay for Cyprus holidays. Venus Beach Hotel offers plentiful facilities, including: an outdoor swimming pool with Jacuzzi, sun terrace and beach with sun loungers, towels, and parasols, indoor pool, three restaurants, three bars, lobby, 24-hour reception/concierge, 24-hour room service, five lifts, gymnasium with aerobic room, Wi-Fi access in selected areas, souvenir shop, car hire, and laundry service. There are also: two floodlit tennis courts, pool table, table tennis, games room, Internet access, weekly animation programme, seasonal water sports, kids' club (five days a week), and children's playground. 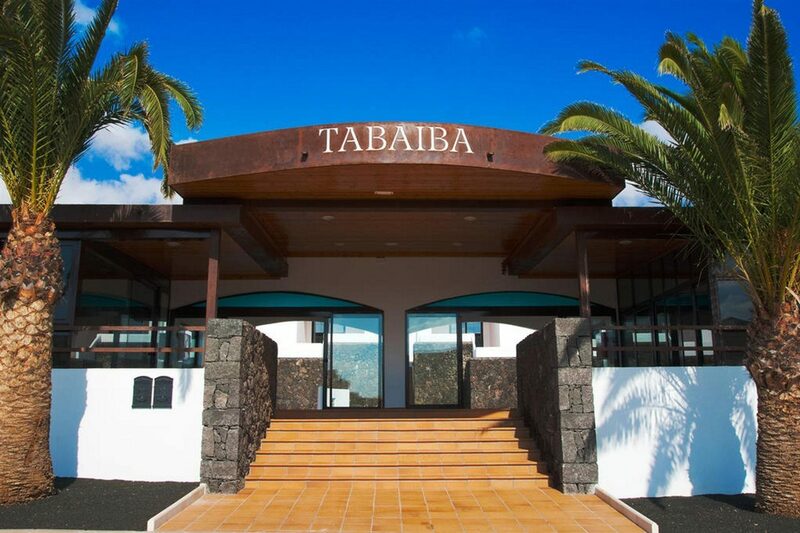 The spa offers a sauna, steam bath, solarium, massage and treatment rooms, and beauty and hairdressing salons. 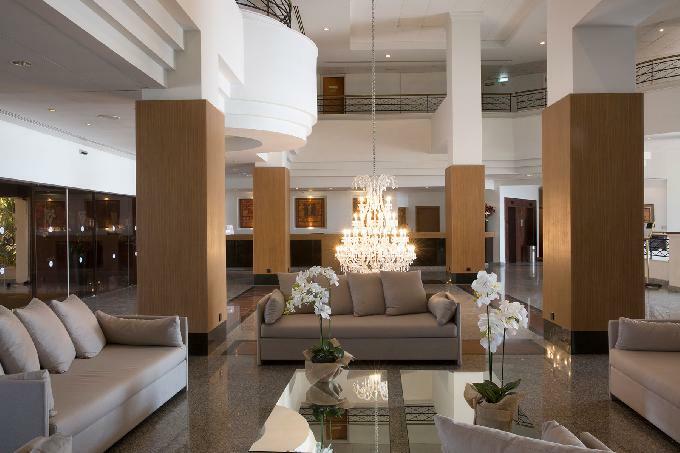 This Paphos hotel has 216 guest rooms, 14 Executive Suites, and two Presidential Suites spread across six categories. 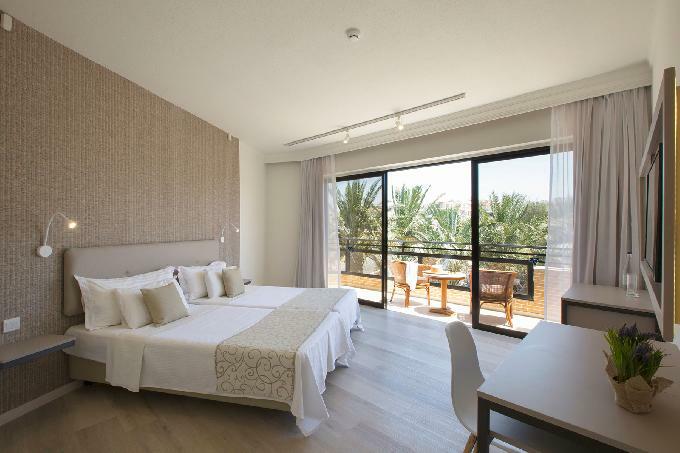 Twin Inland View Rooms feature twin beds or one double bed, centrally-controlled air-conditioning or heating, satellite television with music channel, digital safe, minibar, international direct-dial telephone, hairdryer, 24-hour room service, and balcony with table and two chairs. The bathroom offers essential toiletries, bathtub with shower, WC, and bidet. Anemone Breakfast Room and Terrace serves an English buffet breakfast from 07:00 to 10:00. Nefeli Restaurant/Coffee Shop and Terrace is your go-to for a buffet-style or a la carte lunch from 12:30 to 14:30 and also all-day snacks and hot and cold drinks. 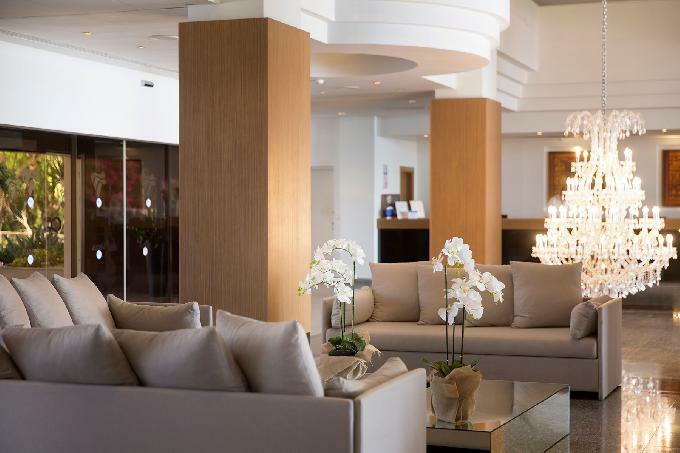 Take your seat in Ariadne Dining Room from 19:00 to 22:00 for elegant dinners comprising buffets, set menus, theme nights, and an a la carte menu of Cypriot, Greek, and international cuisine accompanied by live music most nights. Kyveli Bar and Pool Bar offer a menu of drinks and a la carte snacks; Bachhus Bar and Terrace host live music three to four times weekly and also weekly folklore and international dance shows.